A friend of mine will be disappointed that I did not do beer can chicken. but I did not have a can of beer handy. I am seriously going to start a new cooking blog – it will have one simple recipe. 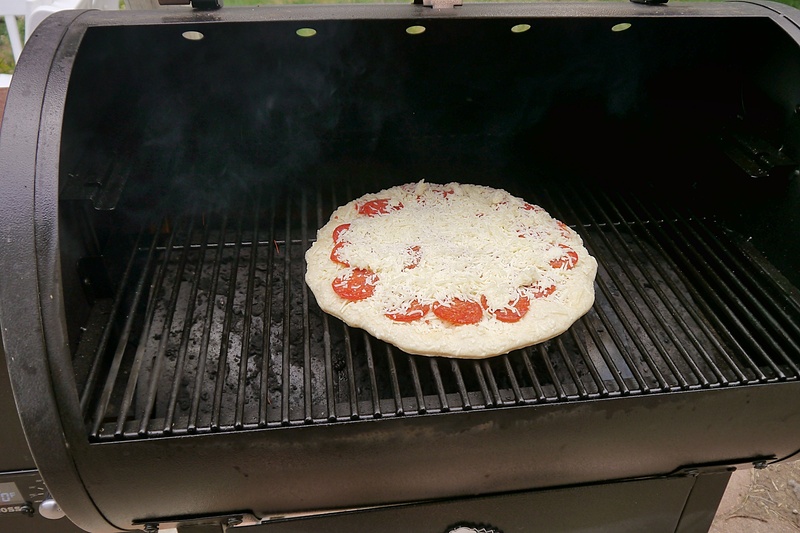 Take item, season lightly with seasoning of your choice, cook on wood grill to appropriate temperature. Serve and enjoy the deliciousness. Nothing has turned out badly on the new wood grill . 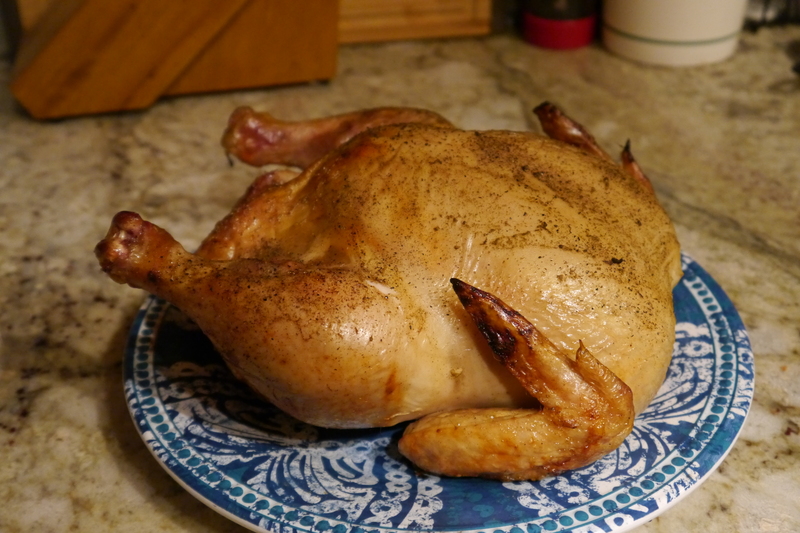 Tonight’s roast chicken is no exception. 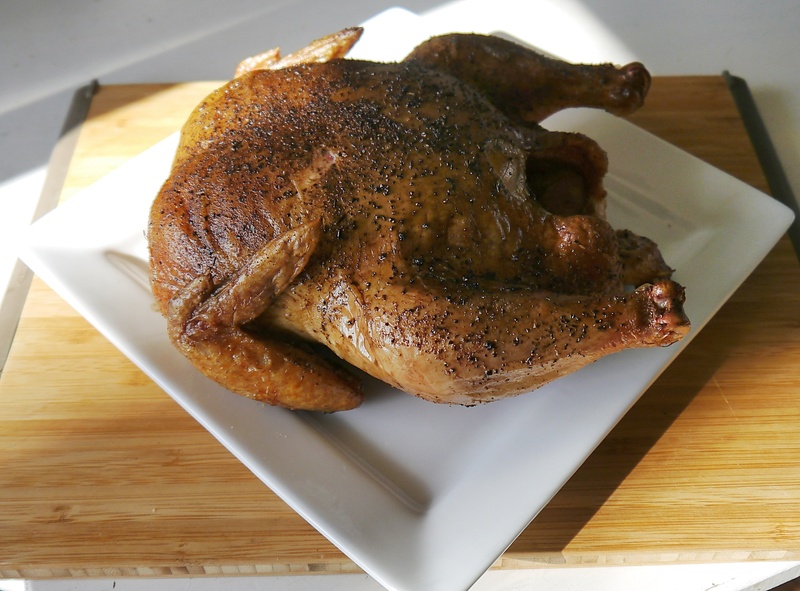 I’m prepping a whole chicken for the wood grill and thought I should add the thigh recipes I’ve been using all summer. BTW, the Apple Crisp recipe is here. 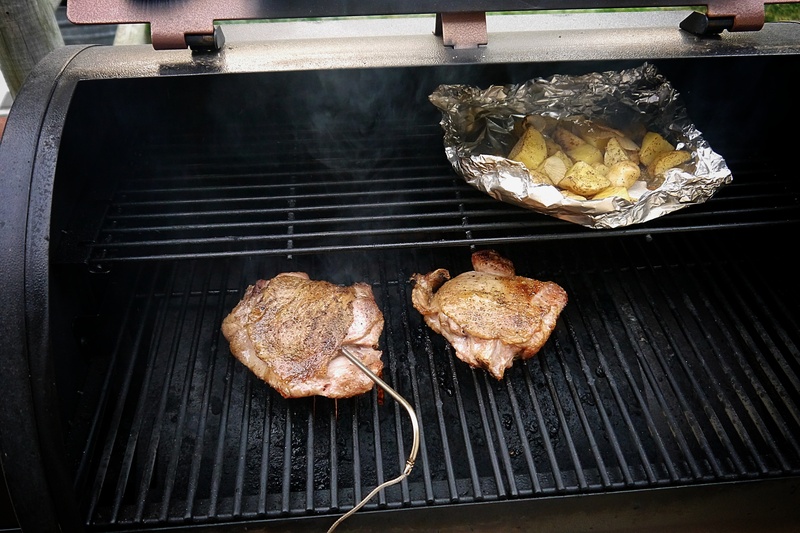 I was looking to grill chicken thighs, but while I was at the store, the clerk was marking down turkey thighs. I grabbed a couple of packages, froze two and cooked one, along with the remainder of the gold potatoes I dug from the garden. A simple and delicious dinner. Rub thighs with oil, sage, salt and pepper. 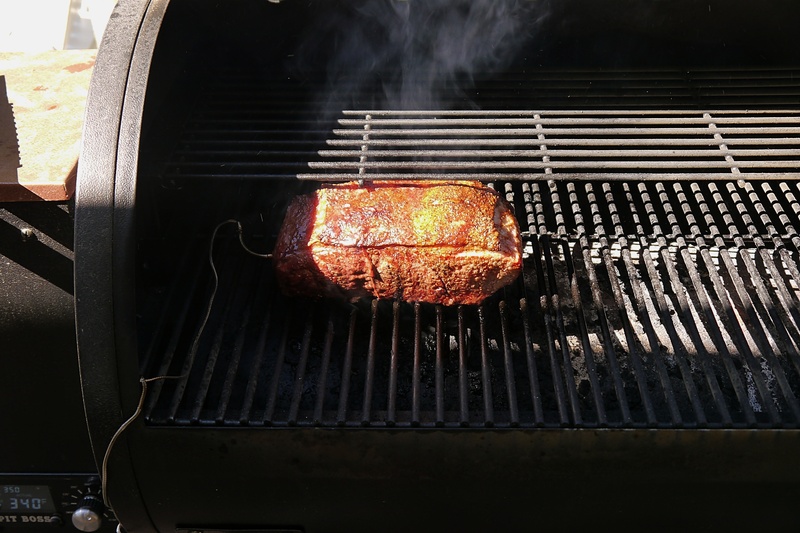 Heat grill to 400 degrees and grill for 5 minutes, flip and grill an additional 5 minutes. Reduce heat to 325 degrees and continue to cook until the internal temperature of 175 degrees. Depending on the thickness of the thigh it can take 15 – 25 minutes. 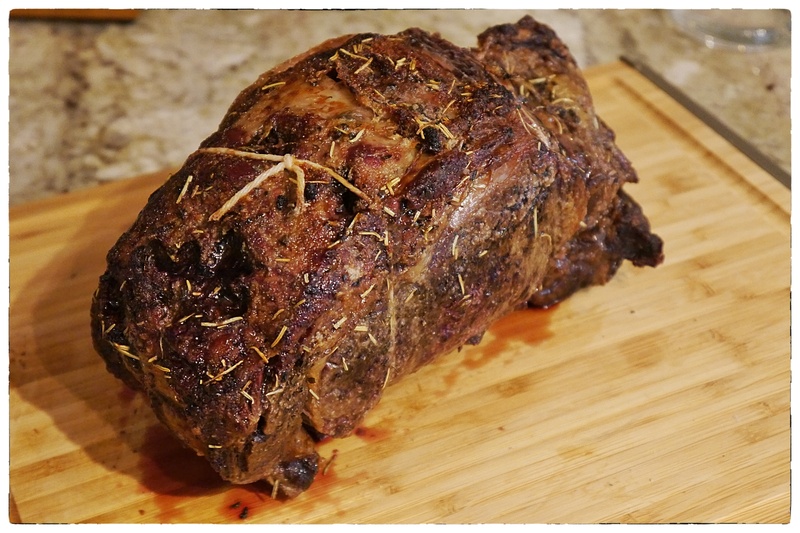 Let rest for 5 minutes before serving, to bring temp up to 180 degrees. Scrub potatoes and cut into large cubes. Toss potatoes and onions with oil, butter, salt and pepper. Make a pan with the foil and place a piece of parchment on the bottom. Add the potatoes and onions, don’t seal. I grilled along with the thighs above, on the top shelf. They finished up at the same time as the thighs. Crispy and browned on the outside. Apple Crisp for Breakfast, That’s a Thing, Right? A few weeks back, the city once again sent out an alert: the apples in the city apple orchard were ready to be picked. So for the love of all that is holy, come and relieve them of these apples. Branches break, people get zonked by falling apples, the ground gets covered, so they seriously encourage people to “come and get it.” They are as organic as they come – other than some pruning, the city does nothing to them. 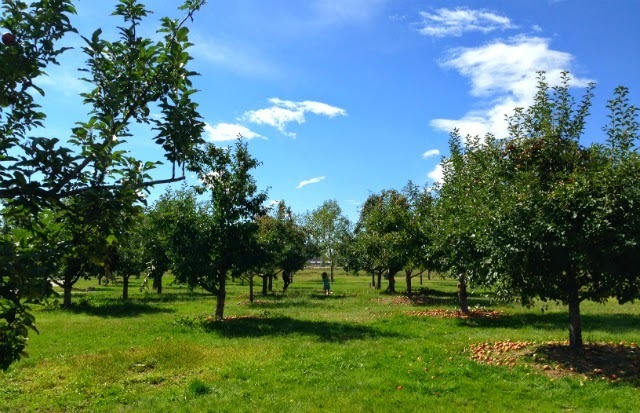 Roger’s Grove Nature Area consists of 54.9 acres adjacent to the St. Vrain Greenway and includes Fairgrounds Lake, trails, a shelter, outdoor amphitheater, restrooms, native landscaping, demonstration gardens and an apple grove with fruit free for your harvest! Design and construction of the nature area was primarily funded by the Roger and Roberta Jones Foundation. Roger Jones (1915-1995), enjoyed walking along the river with his wife Roberta (1913-1992). Both educators in the St. Vrain Valley School system, the Jones’ wanted to contribute an environment for children and adults to visit, learn and enjoy. Roger’s Grove was developed as a nature area, arboretum and outdoor learning center. …there are about 50 apple trees, of eight varieties, planted at Roger’s Grove, and they have not been sprayed with pesticides. 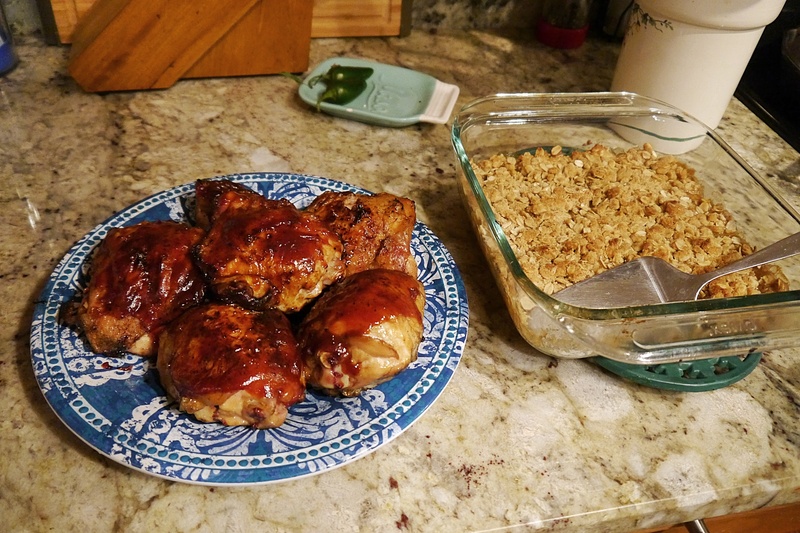 With all my apples, I made my Perfect Apple Crisp, recipe here, with a bit of twist. I came away with quite a few apples, and while a few are good to eat, most are better for baking. They sat in my fruit drawer for a week, and I decided I needed to do something with them, especially since I didn’t know if any of them were buggy – I didn’t want the bugs to multiply. So I dumped them all in the sink, washed them and then sliced them up. I put them in my Multi-Pot (Instant Pot twin) and threw in about 1/2 cup of brown sugar, a dash of salt and just enough water to keep it from burning before the apples let go their juice. I set it for three minutes, assuming much of the cooking would take place while it pressurized. It was a good call. I did the fast-release method, and the apples were perfect. Still had some shape and I thought would be great for baking. I had planned to freeze some, but best-laid plans and all, I instead went on an apple crisp spree. I’ve baked three in the last two weeks. Mmm–mmmm. 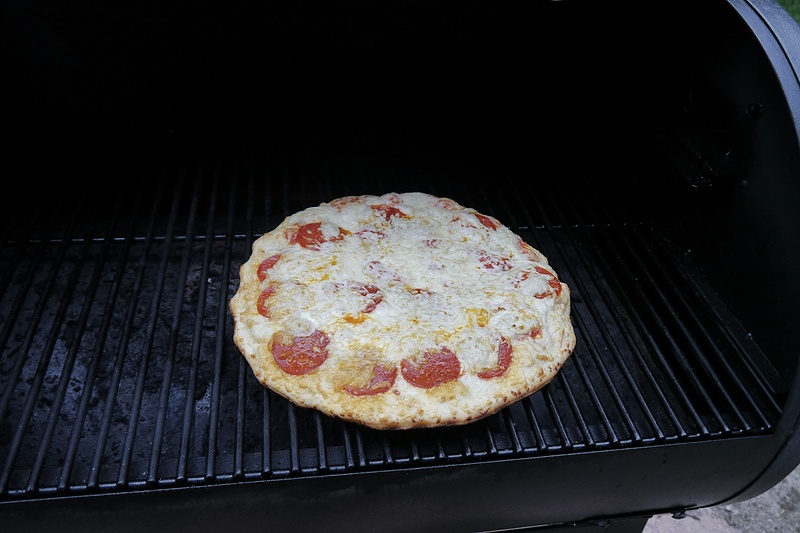 Little D wanted pizza tonight and I asked if it would be all right if we tried cooking it on the wood pellet grill. Since the answer was yes and it was an inexpensive Red Barron frozen, I felt we had nothing to lose. It was delicious. 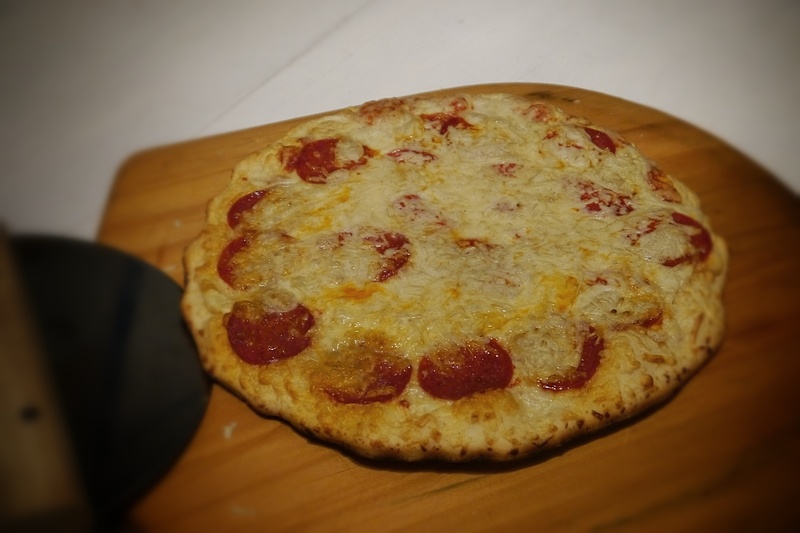 Like the best frozen pizza I’ve ever made. Can’t imagine I’ll ever make it any other way. Can’t wait to try it on a fresh, homemade one next. I followed the directions on the box for oven baking it. The crust was nicely browned without burning, but I think it could have been crisper. I think the only thing I would change would be to preheat the grill to 500 degree F, add the pizza and reduce to about 375. That should crisp the crust without burning.